Is there a boilerplate mod that I can download? Can I separate the mod folders from the game folders so that it's easy to keep track of what content I added? What kind of formats are the content stored in and how can I edit them? What kind of scripting/programming is used? I wasn't able to find any resources for this via Google search. I assume you have the games on Steam. In order to create mods for Counter Strike 1.6 and/or Half-Life, you can use the Half-Life SDK. 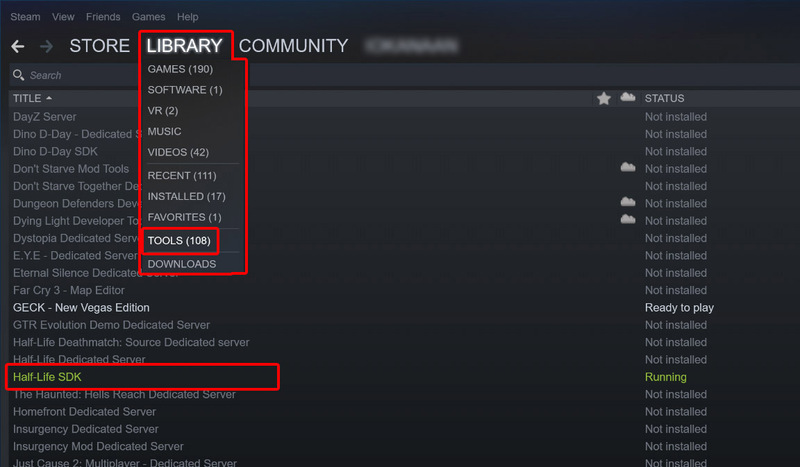 This set of tools can be downloaded by heading to your Library -> Tools in Steam, and double-clicking 'Half-Life SDK'. Once downloaded, in its folder (default C:\Program Files (x86)\Steam\steamapps\common\Half-Life SDK), you'll find some (at times outdated) documents to get you started. The SDK packs the map editor Hammer, example maps and models, and tools to create texture archives and sprites, among other things. Concerning the latter, I suggest downloading NEM's tools, however: they have better GUI's, and are generally easier to use. game scripts come in .CFG format. Here is a good tutorial to get you started, and here are some examples of game scripts. Since Counter-Strike 1.6 is in itself a modification for Half-Life, the best way, IMHO, to get acquainted with creating a mod would be to make a copy of the mod folder (C:\Program Files (x86)\Steam\steamapps\common\Half-Life\cstrike) and going through the files with the acquired tools. This way you get an idea of the folder structure and the formats used. Counter-Strike is run by the Half-Life executable hl.exe, using the parameter -game cstrike, this can be substituted by your new folder name. Not the answer you're looking for? Browse other questions tagged steam mods counter-strike half-life goldsrc-engine or ask your own question. How to control a Counter Strike(CS 1.6) server which is hosted in a remote location? How do I create a Counter-Strike 1.6 FFA server? How do I use zbot in Counter-Strike 1.6? How to run Counter Strike 1.6/Source in Ubuntu? How to add bots in Counter Strike 1.6?